GitHub is a useful tool for managing coding projects. If you have created a series of files on a local hard drive that you want to add to a GitHub repository, the procedure is quite simple. 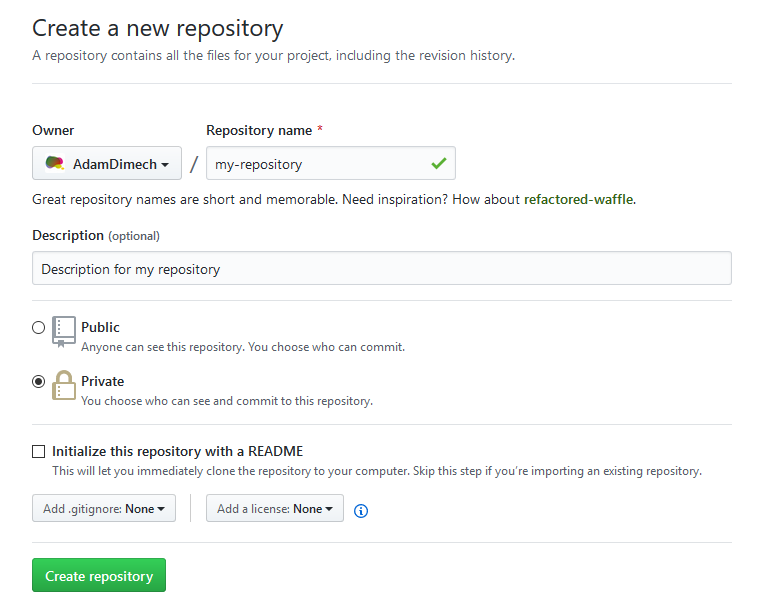 The GitHub interface showing the form for creating a new repository. 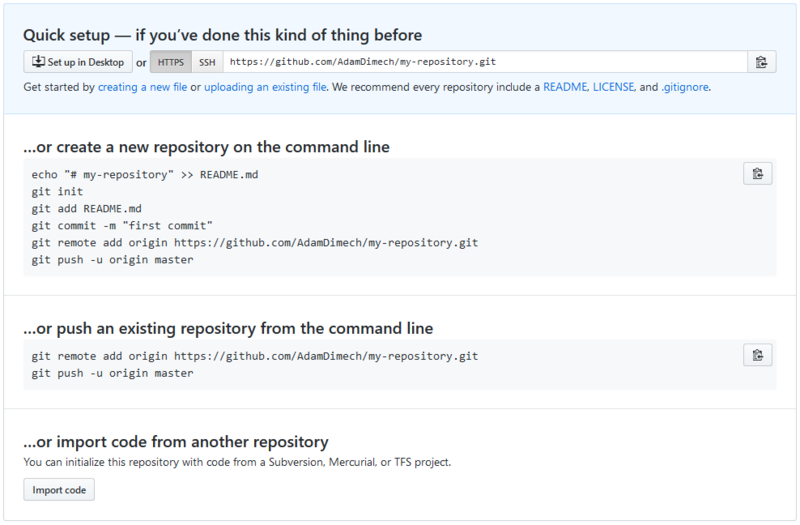 Note the new Git URL that is created in this process (for this example, it is https://github.com/AdamDimech/my-repository.git). Settings for the new GitHub repository. The machine should respond with “Initialised empty Git repository in C:/Path/To/Folder/.git/”. git commit -m "Add existing file"
An updated GitHub repository as seen in the web interface. Your files should all be visible on GitHub. Of course, once you have created your repository and uploaded your files, you are almost certain to make changes locally as you keep working on your project. These changes will then require a ‘push’ to GitHub. All of the changed files in the local directory will be uploaded to GitHub and versioned.